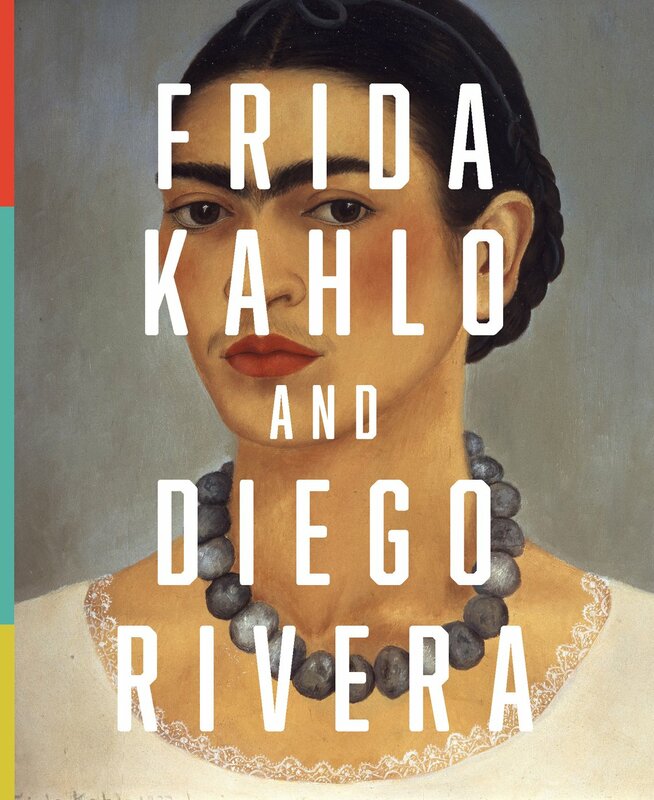 Frida Kahlo and Diego Rivera: from the Jacques and Natasha Gelman Collection explores the lives and art of two of the most famous artists of the 20th century. Presenting 33 artworks from the renowned collection of Jacques and Natasha Gelman, the exhibition also includes over 50 photographs by Edward Weston, Nikolas Muray and Frida’s father, Guillermo Kahlo. Access and share exclusive stories about the artists, artworks, photos and special offers. 1876 Porfirio Díaz is elected president of Mexico. He holds power for 34 years, creating a period of middle-class prosperity but widespread rural poverty known as the Porfiriato. As Mexico becomes more unequal, his rule becomes increasingly dictatorial. 1886 José Diego María Rivera y Barrientos is born in Guanajuato, Central Mexico. 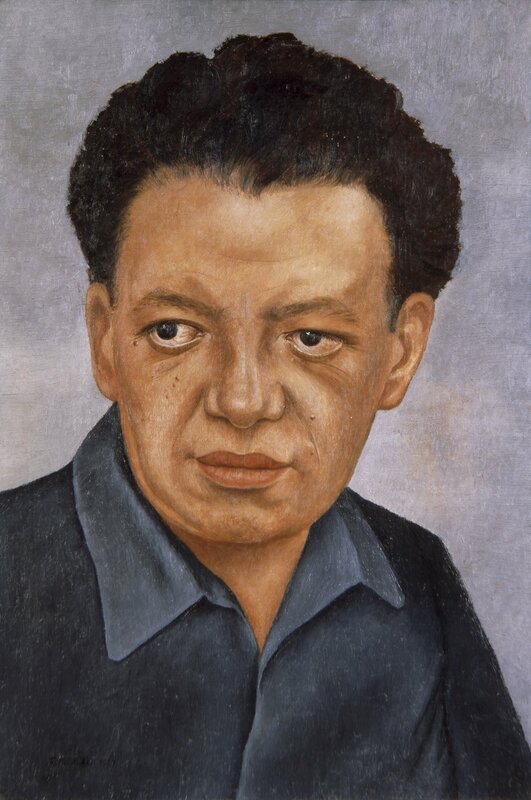 1898 Diego Rivera begins full-time study in fine arts at the Academy of San Carlos after having attended night classes from a young age. 1907 Rivera begins 14-year stay in Europe. Magdalena Carmen Frieda Kahlo y Calderón born at Casa Azul (Blue House) in Coyoacán, a suburb of Mexico City. 1909 Both Natasha Zahalka and Jacques Gelman born. 1910 Mexican Revolution: civil war breaks out after President Díaz is toppled from power. During decade of bitter factional fighting and violent disputes, two million Mexicans die. In later years Kahlo, as a child of the revolution, claims 1910 as her birth year. 1913 Rivera begins working in a cubist mode. Kahlo contracts polio and suffers permanent damage to her right leg and foot. 1914 In Paris, Rivera and Pablo Picasso meet and become close friends. Civil war erupts in Mexico. World War I begins. Mexico remains neutral throughout the war. 1917 Political Constitution of the United Mexican States is ratified. Russian October Revolution. Rivera falls out with Picasso; breaks with cubism and returns to naturalism. 1920 Mexican Revolution ends, though some consider it in play for another two decades. Rivera travels to Italy to study renaissance frescoes and techniques. 1921 Mexican education reforms and nationalistic mural painting program established under cultural ideologue José Vasconcelos. Surrealism begins in Europe. Rivera returns to Mexico and researches indigenous Mexican and folk culture at the Mayan ruins of the Yucatán Peninsula. 1922 Rivera joins the Mexican Communist Party. Completes his first government-commissioned mural, Creation, at the National Preparatory School. Kahlo is admitted to the prestigious National Preparatory School, preparing to study medicine at university. There she watches Rivera at work. 1923 Kahlo becomes a member of ‘Los Cachuchas’, a youth political group supporting socialist-nationalist ideas. Rivera and David Alfaro Siqueiros issue the ‘Manifesto of the union of technical workers, painters, sculptors’, calling for a monumental art for the people. 1925 Kahlo is travelling in a bus when it collides with a streetcar. She suffers serious injuries including a broken spine, and her womb and pelvis are pierced by a metal handrail. 1926 Kahlo returns to hospital for many months of treatment and rehabilitation. With an easel and mirror set-up, she begins painting from her hospital bed. 1928 Kahlo joins the Mexican Communist Party. Kahlo and Rivera are introduced by Kahlo’s friend Tina Modotti, a photographer and activist. Rivera begins calling on Kahlo weekly at her Coyoacán home. He paints her as a revolutionary distributing arms in his Ministry of Education mural, The Arsenal. 1929 National Revolutionary Party (PNR) formed in Mexico, holding power for decades. Rivera and Kahlo are married in a small civil ceremony. Rivera is expelled from the Communist Party for acceptance of anti-Communist commissions. Kahlo resigns from the party (now banned in Mexico) in protest. 1930 Rivera accepts several mural commissions and the couple move to the United States for three years. They return to Mexico at various times. Kahlo falls pregnant. She terminates the pregnancy when risk to her health becomes apparent. Mexican arts is the first major exhibition of Mexican art to be shown in the US. 1931 Rivera has a solo exhibition at Museum of Modern Art, New York. 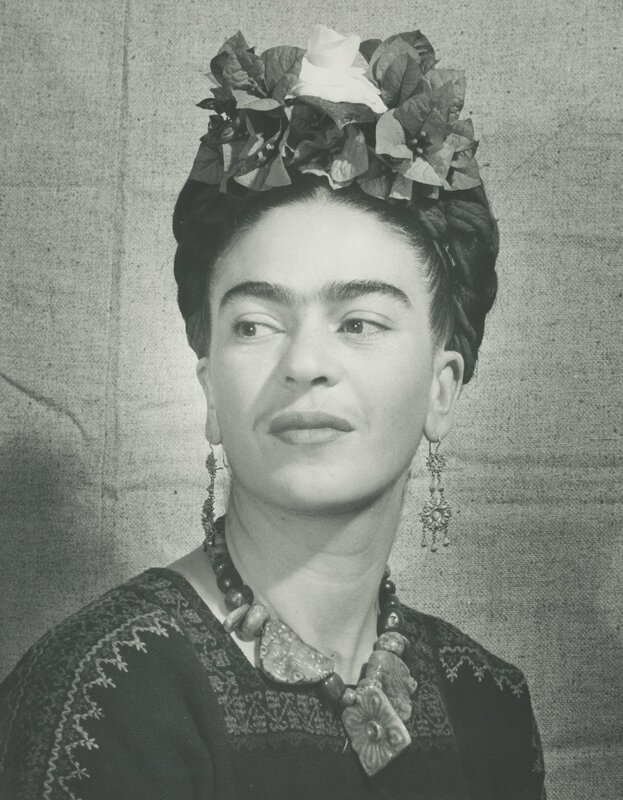 Kahlo changes her first name to ‘Frida’ in the early 1930s. Kahlo begins her long-running affair with photographer Nickolas Muray. Kahlo and Rivera commission Mexican modernist architect Juan O’Gorman to design a house and studio in Mexico City. 1932 In Detroit, Kahlo is hospitalised with a miscarriage. She records the experience in two works, Henry Ford Hospital and The miscarriage. 1933 Rivera begins a mural at the RCA Building in New York, but work is suspended for his inclusion of a portrait of Lenin. The mural is destroyed in 1934. The couple return to Mexico and move into the O’Gorman complex. Establishment of the League of Revolutionary Artists and Writers (LEAR), in Mexico, with Rivera as a founding member. 1934 Kahlo’s third pregnancy is terminated. She has several toes amputated from her right foot. 1935 The couple separates when Kahlo learns of Rivera’s affair with her sister Cristina. By the end of the year they reconcile but agree to lead separate lives. Kahlo moves to Caza Azul. 1936 Spanish Civil War begins. 1937 Rivera helps exiled Marxist leader Leon Trotsky gain asylum in Mexico. Trotsky and his wife Natalia Sedova come to live at Casa Azul. Kahlo and Trotsky have a brief affair. Kahlo’s first public show in Mexico at National Autonomous University. Kahlo is photographed for a fashion shoot for American Vogue. 1938 French writer and surrealist leader André Breton spends several months in Mexico. Together with Trotsky and Rivera, he writes ‘Manifesto for an independent revolutionary art’. Kahlo’s first solo exhibition is held in New York at the Julien Levy Gallery. 1939 World War II begins. Kahlo exhibits in Paris in Mexique, organised by Breton and Marcel Duchamp. The Louvre purchases The Frame, its first 20th-century Mexican acquisition. Rivera and Kahlo divorce upon Kahlo’s return from Paris. Natasha Zahalka and Jacques Gelman meet in Mexico City. 1940 Trotsky is assassinated in his house in Coyoacán. Kahlo and Rivera are suspected of complicity in his death. Rivera leaves for San Francisco and paints a mural at the Golden Gate International Exposition. Kahlo also exhibits work at the Palace of Fine Arts as part of the exposition. Kahlo flies to San Francisco for medical treatment. After reconciling, the couple remarries on Rivera’s 54th birthday. They agree to live together but to cease sexual relations and maintain financial independence. 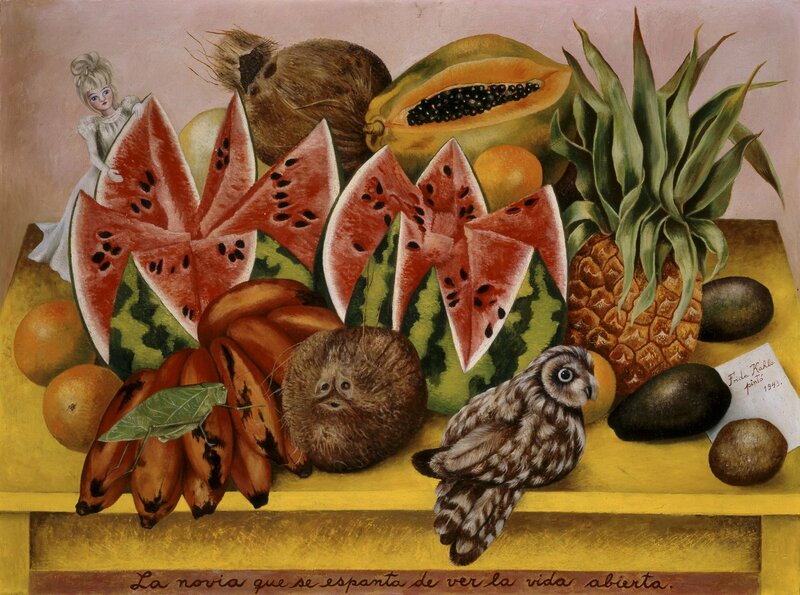 Exhibition Twenty centuries of Mexican art at Museum of Modern Art, New York, includes works by Rivera and Kahlo. 1941 Rivera plans construction of the Anahuacalli Museum in Coyoacán, designed to house his collection of pre-Columbian artefacts. Leading Colombian photographer Leo Matiz seeks political exile in Mexico and begins a friendship with Kahlo and Rivera. Natasha Zahalka and Jacques Gelman marry. 1942 Mexico enters World War II. The Emergency Labor Program sees temporary importation of Mexican workers to the US. Kahlo becomes a founding member of the Seminar of Mexican Culture, a state institution of intellectuals invited to develop and promote Mexican culture. 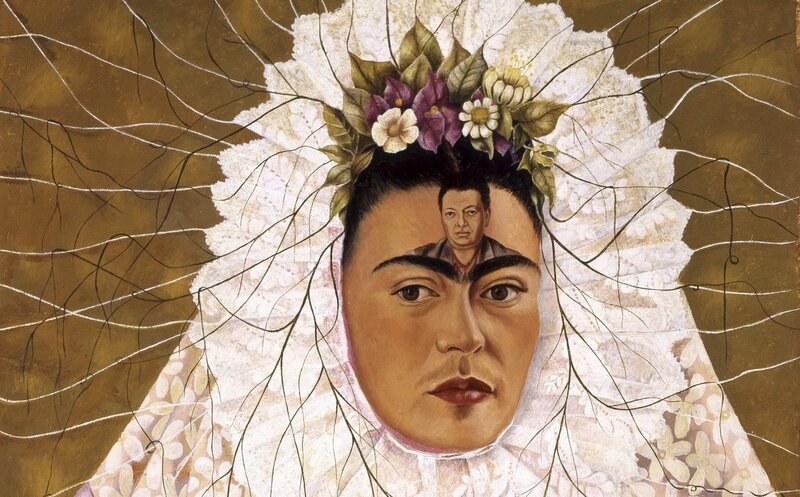 Kahlo has a self-portrait displayed in 20th-century portraits at Museum of Modern Art, New York. 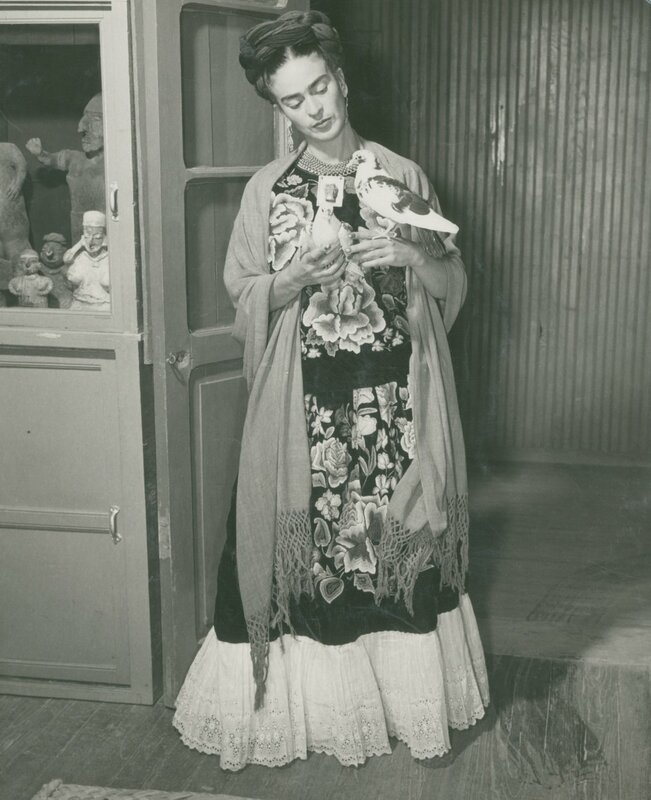 1943 Both Rivera and Kahlo are appointed professors at the National School of Painting, Sculpture and Printmaking (La Esmeralda). With her work exhibited in group shows in Mexico, Philadelphia and New York, Rivera publishes one of the first critical reviews of her work. Poor health forces Kahlo to instruct her four key students, ‘Los Fridos’, at home. Rivera and Kahlo both paint portraits of Natasha Gelman, commissioned by her husband Jacques. 1944 Kahlo travels to New York for a spine operation. Kahlo begins keeping a diary. 1945 World War II ends. Some see the war as finally ending the drawn out Mexican Revolution. The United Nations is established with Mexico as member. Mexican photographer Lola Álvarez Bravo begins a long-running series of photographs of Kahlo. 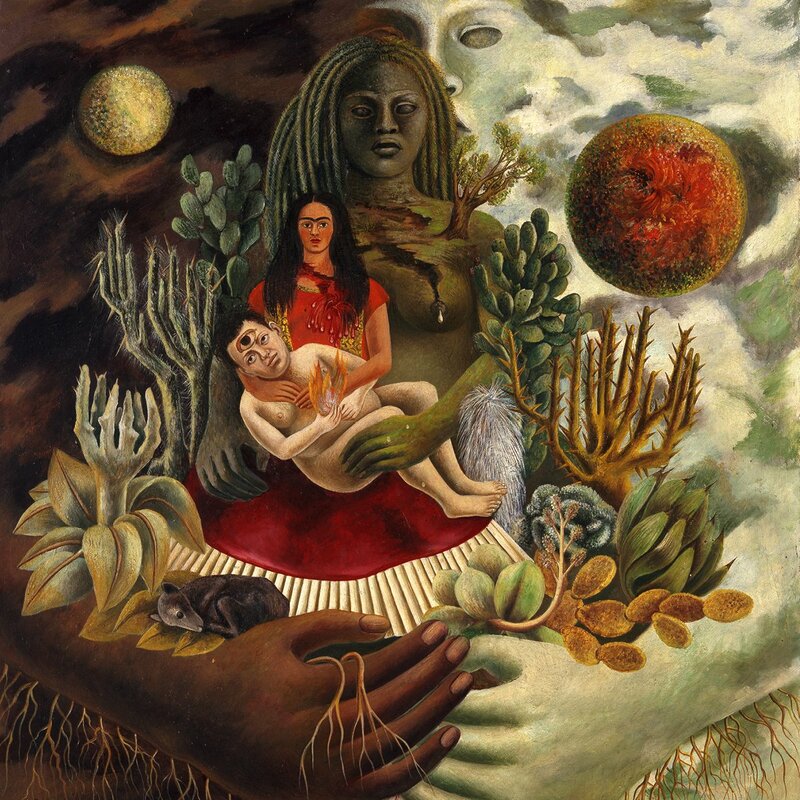 1946 Kahlo awarded National Prize of Arts and Sciences from the Ministry of Education. Kahlo travels to New York to undergo a bone-graft operation, is in an iron corset for months, and develops anaemia and depression. 1947 Instituto Nacional de Bellas Artes establishes the Commission for Promotion and Regulation of Mural Painting with José Clemente Orozco, Siqueiros and Rivera as commissioners. 1948 Rivera completes his last great mural, Dream of a Sunday afternoon in the Alameda Central, for Mexico City’s Hotel del Prado, causing a scandal with his inclusion of the words ‘God does not exist’. Kahlo rejoins Mexican Communist Party. 1949 Retrospective Diego Rivera: 50 years of his artistic work at the Palace of Fine Arts, Mexico City. 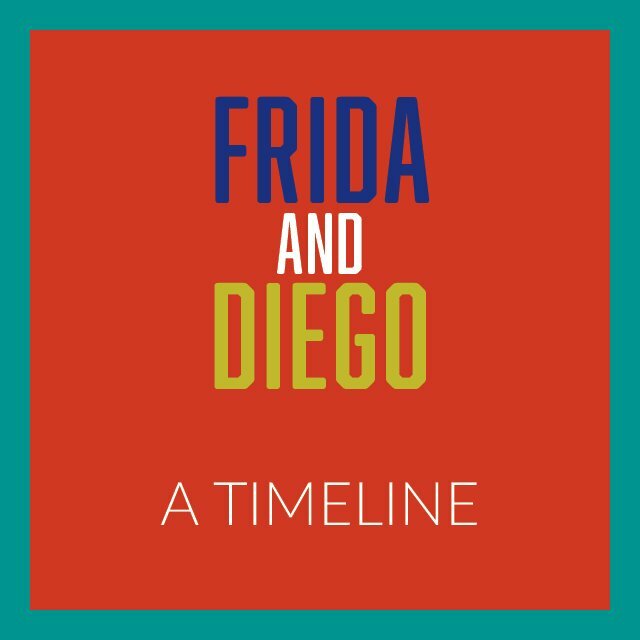 Kahlo writes essay ‘Portrait of Diego’ for the retrospective. Rivera’s affair with María Félix causes a public scandal. He considers divorce from Kahlo before the affair ends in June. French-German photographer Gisèle Freund comes to Mexico and takes photographs of Kahlo and the Mexican art scene. 1950 Orozco, Siqueiros, Rufino Tamayo and Rivera represent Mexico at the 25th Venice Biennale, where Rivera is awarded National Prize for Plastic Arts. Kahlo has seven operations on her spine and spends nine months in hospital. She is confined to a wheelchair and requires constant medical care. 1951 Rivera has retrospective at Houston Museum of Fine Arts. Rivera completes his epic National Palace murals after 29 years. 1952 Kahlo paints a poster in support of the Congress of Peoples for Peace, Vienna, and works on petitions for peace. Kahlo begins a series of still-life paintings. Rivera is commissioned to paint a mural for the exhibition Mexican art from pre-Columbian times to the present, but controversial portraits of Joseph Stalin and Mao Tse-Tung in the mural mean it is not exhibited. 1953 Women are given the vote in Mexico. Cuban Revolution begins. Polish-American photographer Bernice Kolko establishes a friendship with Kahlo. Kahlo has first solo exhibition in Mexico and attends the opening in a bed carried by four friends. Kahlo’s lower right leg and foot are amputated to stop the spread of gangrene. 1954 Rivera and Kahlo participate in a public demonstration against CIA invasion of Guatemala. After years of appeals, Rivera is re-admitted to the Mexican Communist Party. Kahlo dies at Casa Azul at age of 47. Many prominent figures in Mexican cultural and political circles attend her state funeral, which concludes at the National Palace of Fine Arts. Rivera donates Casa Azul to the Mexican people. 1955 Cuban revolutionary Fidel Castro flees to Mexico and there meets Ernesto ‘Che’ Guevara. Rivera marries his art dealer Emma Hurtado. Rivera travels to USSR at invitation of the Moscow Academy of Fine Arts. While there he has experimental treatment for recurrent cancer. Rivera sets up trust fund through Banco de Mexico to administer Anahuacalli and Casa Azul. 1956 Rivera returns to Mexico City to recuperate at the home of his friend Dolores Olmedo. National celebrations take place for Rivera’s 70th birthday. Tribute exhibition in Mexico City, Frida Kahlo Salon, brings together the work of 40 women artists, organised by Democratic Union of Mexican Women. 1957 Rivera dies of heart failure, aged 70, in his studio. Despite his wishes to be interred with Kahlo at Casa Azul, he is buried in the Rotunda of Famous Men, Mexico City. 1958 Casa Azul is officially presented to the Mexican nation and opens in July as the Frida Kahlo Museum. 1983 Hayden Herrera writes a bestselling biography of Kahlo, which influences much of the feminist revisionist history that follows. 1984 The Mexican government declares Kahlo’s work part of the national heritage of Mexico. 1986 Jacques Gelman dies in Texas, US. 1998 Natasha Gelman dies in Cuernavaca, Mexico. The Jacques and Natasha Gelman Collection is entrusted to friend and adviser Robert R Littman. Frida Kahlo is one of the most adored artists of our time. Her auto-biographical paintings were a new approach to exploring female experience that would influence generations of women artists. When young she was in an accident that defined her life and art. Recovering from a broken spine, pierced womb and multiple other injuries, she began to paint. Today she is a national treasure in Mexico, and an icon throughout the world. One of the greats of post-revolutionary Mexican art, Diego Rivera helped define our understanding of modern Mexico. He was an avant-garde painter in pre-WWI Paris, friends with Picasso, Modigliani and Mondrian. When back home he became a leading communist figure and worked tirelessly over decades making murals that represented and educated the people of Mexico; monumental images that matched his powerful personality.